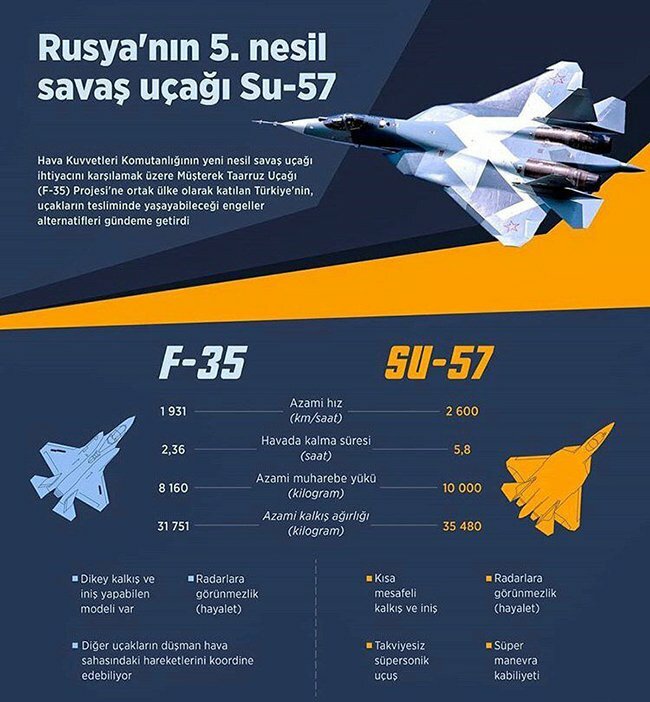 ANKARA, Turkey (BulgarianMilitary.com) – A Turkish advertising comparative infographic, comparing the US 5th generation F-35 combat aircraft with its Russian counterpart Su-57, is already circulating extensively in the print and online media in Turkey, and, moreover, it is in Turkish language, learned BulgarianMilitary.com. It is not surprising, given the Turkish Ministry of Foreign Affairs’ statements that if the United States does not hand over F-35 to Ankara, Turkey can buy similar aircraft (that is Su-57) from Russia. The topic of the S-400 purchase appeared in the Turkish media, where comparisons between the two machines’ advantages and disadvantages immediately began. The specified comparative characteristics in the infographic are directed to maximum speed, flight duration, fuel quantity and maximum take-off mass. As noted by the commentators from Russia, it should be taken into account that this is not just a matter of tactical technical characteristics for Turkey, but also a question of military-political subjectivity, as Turkey wants to position itself as a player who decides on its own by whom and in what quantities it will buy. The contract with Russia for the S-400 is not the only hindrance to the F-35 deal but also Ankara’s unwillingness to make concessions to Washington in order to save the fighter jets deal, as interpretations are likely to emerge that Turkey is under pressure and has retreated. Hence, the interest in the Su-57 issue, which actually is urged by the Turks to the Americans, as they are trying to blackmail them with further involvement of Russia on the Turkish arms market. 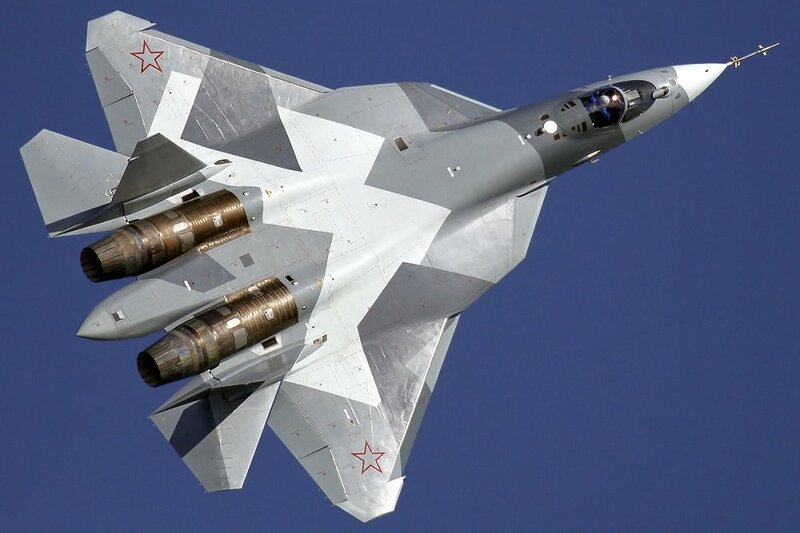 It is not that hard to imagine what the scope of the hysteria in Washington (with the ongoing reactions to the S-400) will be, if the Su-57 matter change from surveying talks to a practical discussion of a production contract of these machines for the Turkey’s needs. However, as in the case of the S-400, Turkey may be interested not only in aircrafts, but also in their manufacturing technologies, which can accelerate the development of the aircraft industry of the Turkish military-industrial complex (MIC). And here comes the question whether Russia would like to share such technologies with Turkey and Erdogan.